This is a very cool feature that allows one to manage the server box remotely. Idea is physically you don’t have to be in the data center to manage servers. ILO interface provides exact same interface as you will see when you have connected monitor, keyboard and mouse to each individual server. 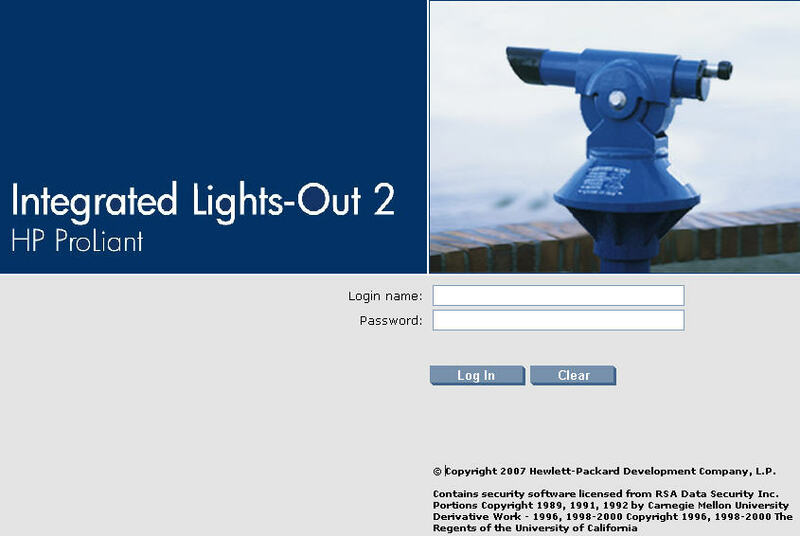 It comes with default administrator user id / password. This user id/password should be changed immediately in order to make your server secure. Go to “Administration” -> “User Administration” -> “Select a User” -> “View / Modify” Also if needed you can create more users and give them selective permissions to manage the server using ILO. In a worst case scenario where you forgot the user id/ password for ILO login, then only way to reset the password is by connecting physically to the box. Make sure monitor and keyboard is connected to box and boot the machine. Press F8 to enter into ILO Configuration. 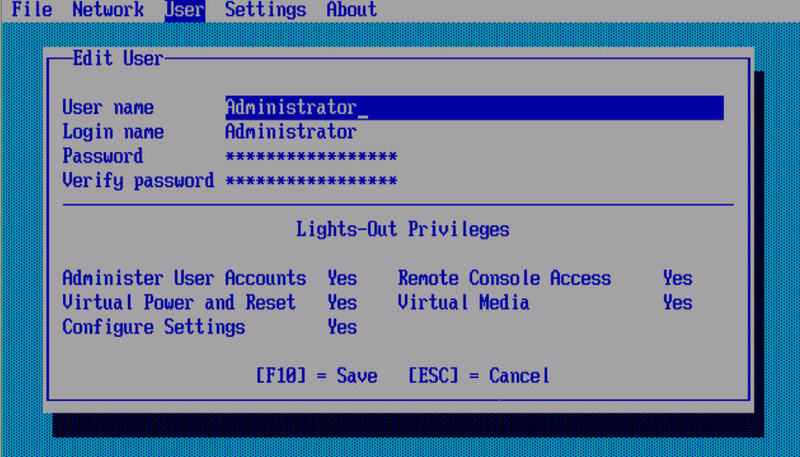 Then go to Users -> Modify user and change the ILO admin password which can help to get back to use ILO again. Before you get started, need to get the static ip address and dns name entry configured for this ILO interface. Click on Administration tab -> settings -> network. Then first disable the DHCP. Enter correct values for IP Address, subnet mask and Gateway IP Address that you allocated for new ILO DNS Name in Eman. Please wait – iLO 2 is being reset with new changes. You will automatically be redirected to the login page in 59 seconds. If an SSL error message is displayed, please restart your browser and re-login. It will logout you in one or two minutes. Or you can open the new browser session and now try to login using new ilo DNS name. For example http://newdnsname and it should redirect to login screen. But for some reasons if you haven’t configured ILO dns correctly, then you may not be able to access the ILO web interface. In this case to debug the configuration, you need to connect that machine physically. Connect Monitor to this machine (connect to front port, it’s easy!) and have keyboard connection at the back. Power on the machine. Once system start booting… You will see white screen display “HP Proliant Servers ….” After this keep on pressing F8 key to get you into ILO configuration Screen. * Verify ILO name has correct value. Now go to Menu Network -> TCP/IP Go to IP Address selection You can’t change these settings if DHCP is ON Update IP Address to new ILP DNS entry. Also Enter correct values for subnet and default getway. We have connected the server on LAN port 1. Hence note the value of Port 1 NIC MAC address, we will need this value to do the Linux installation using the PXE boot.